Let’s face it, these are dark and depressing political times for all but the most far-right-leaning of politically-aware people in this country. Through machinations and manipulation, poltical forces that are hell-bent on undoing a century of progress on social issues while finalizing the USA’s move from Democracy to Oligarchy have seized power. Those of us who are determined to stay on the right side of history need some hope. We need a light at the end of this dark and nasty tunnel. 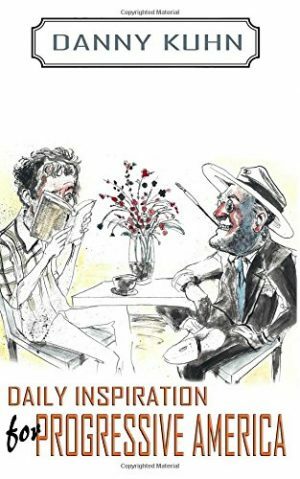 West Virginia native, Danny Kuhn, has compiled a book to help us remember why we need to fight the good fight. Daily Inspiration for Progressive America is the ammunition you need to get up every day and do the right thing. 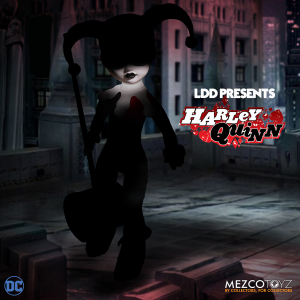 Much to the delight of the young ladies who live for Hot Topic and all things goth and moody, Mezco premieres the first doll for their newest brand: LDD Presents – Harley Quinn. 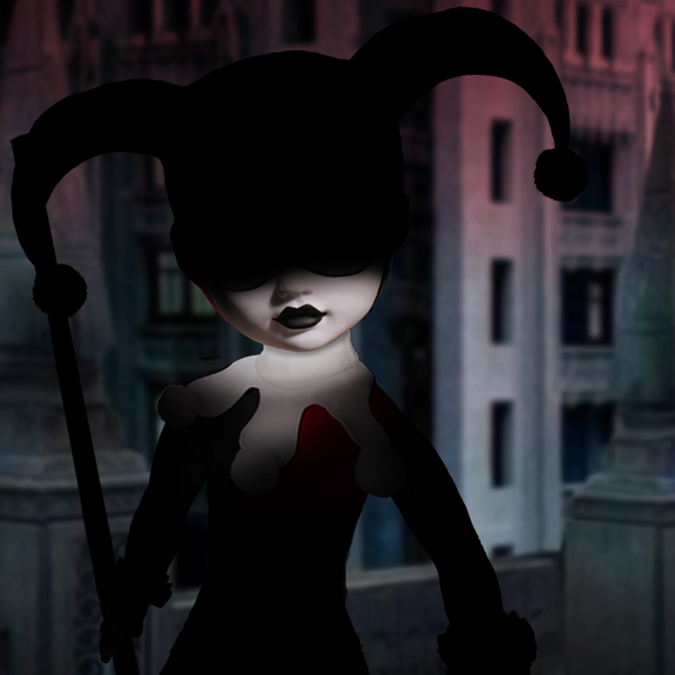 Harley Quinn, the deranged and psychotic poster girl for the terrifying allure of chaos is the darling of DC Comics. Both adorable and dangerous Harley Quinn is the Joker’s devoted girl friend. When not up to no good what pleases Harley most is making the Clown Prince of Crime happy. Now Mezco proudly presents her in all her deranged glory. This is the Harley Quinn for the purist, wearing her traditional red and black harlequin clown costume with matching jester hat, Harley is ready to do whatever “Mistah J” needs. Her look is complimented by a permanently affixed domino mask. She comes complete with her oversized hammer, perfect for squashing any pesky bats who try to ruin her puddin’s fun. Harley Quinn is fashioned on Mezco’s signature LDD PRESENTS body . She stands 10 inches tall and features 5 points of articulation. She comes packed in a specially die cut window box perfect for display, but just like Arkham, it may not hold her for long.LDD Presents- Harley Quinn is available for pre-order HERE. She breaks into local retailers starting in July-September 2017. This is a major brand extension for Mezco’s Living Dead Dolls line, and they couldn’t have picked a better match for their first licensed LDD. The doll itself won’t be seen out of the shadows until this weekend, but we have these preview images to give you a hint of what to expect now. 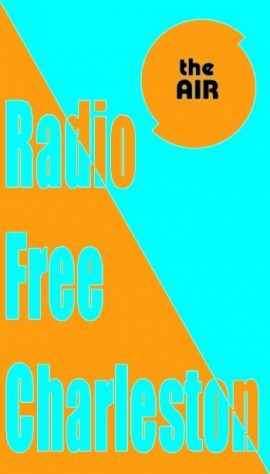 Tune in at Midnight Wednesday for a special 24-hour marathon of Radio Free Charleston. This is one full day of nothing but the best local music from West Virginia. No other radio station can bring you this much local music, and we wanted to flaunt our committment, just because we can. And if that Bataan Death March of local music doesn’t wear you out, stick around because at Midnight Thursday The AIR brings you seven hours of the best Swing Music from the last century with The Swing Shift. It don’t mean a thing, you know, if it ain’t got that swing. 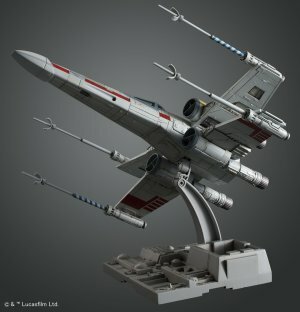 Bandai’s new Star Wars model kits debut at retail across North America starting next month. 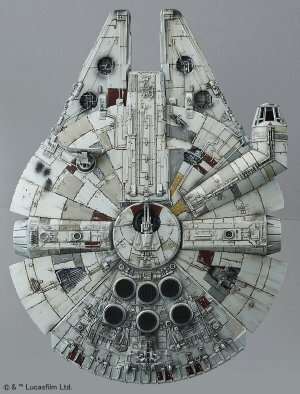 Bandai’s Star Wars Plastic Model kits feature trademark color injection molding techniques resulting in intricately detailed vehicles consistent to their on-screen counterparts. 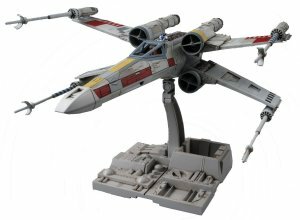 Select kits also include themed display bases that can be combined with display stands from other Bandai Hobby Star Wars vehicles to create expansive battlefield dioramas. Originally available only for the Asian market, these official U.S. releases include English instructions and have product support provided by Bluefin, a top distributor of Asian toys in the US. Your PopCulteer is unable to attend the 2018 International Toy Fair in New York, which begins this weekend, but that won’t stop us from covering as much as we can from here. All week long we plan to bring you previews of what to expect on toy shelves this year. 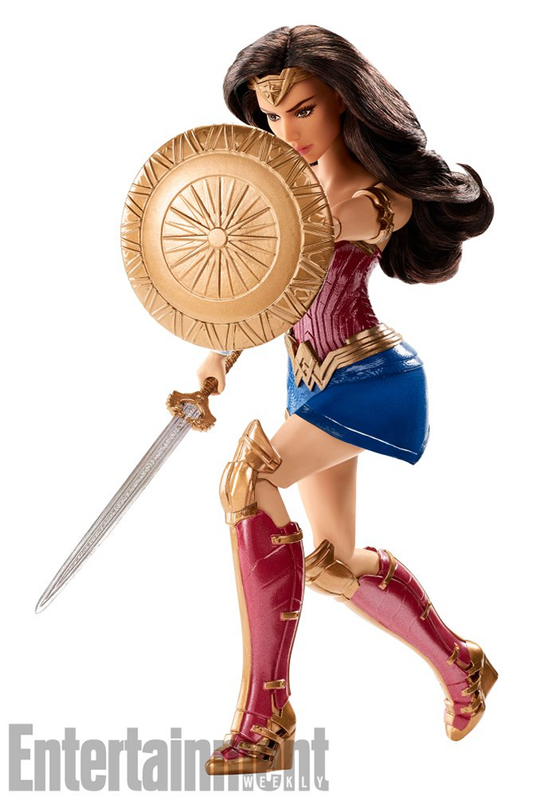 Entertainment Weekly has been given the scoop on Mattel’s line of toys based on the upcoming Wonder Woman movie (due out June 2). Check their website for more info and photos of the toys, which will retail for $15 to $30 dollars. Meanwhile, check out some of these swiped images that we dug out for you. 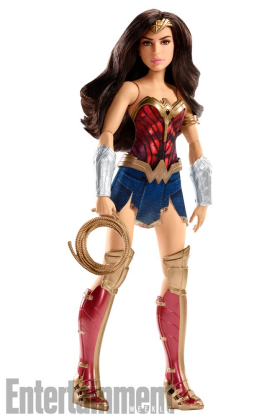 Our lead image is the 12″ hybrid action figure/fashion doll of Gal Gadot, as Wonder Woman. 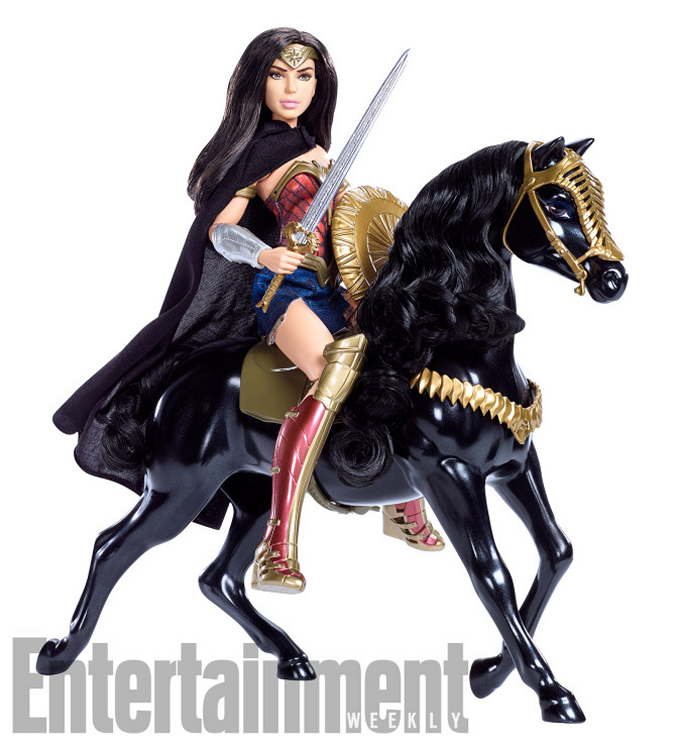 Below we bring you a look at some of the other toys, including the mounted Wonder Woman with her trusty steed, which will sell for just under thirty bucks. These toys are supposed to be out this spring, which in retail reality means that they may start showing up in stores before the first of March. 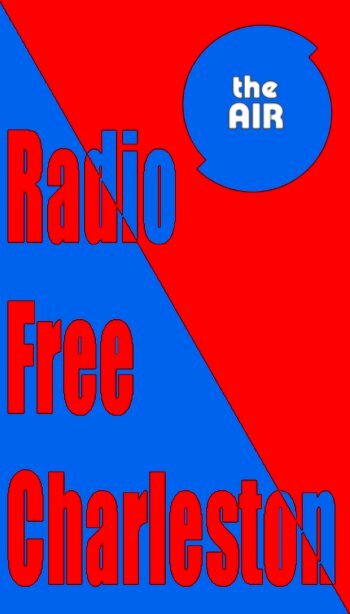 At 10 AM and 10 PM Radio Free Charleston brings the local music to you with a show that includes new music from Under Surveillance, Bon Air, Under Social and Fabulous Head. We also have classic tracks from Chum, No Pretty Pictures, Zeroking, The Scrap Iron Pickers and more. Chum “Six Feet of Earth”. At 3 PM The Swing Shift presents two classic episodes because your PopCulteer and host has coughed his voice into oblivion. The first hour is a tribute to Duke Ellington, while hour two features songs with the word “Jump” in the title. Your PopCulteer is unable to attend the 2017 International Toy Fair in New York, which begins this weekend, but that won’t stop us from covering as much as we can from here. All week long we plan to bring you previews of what to expect on toy shelves this year. While there are a world of toys based on various Star Wars properties coming out this year, I09 was given a sneak preview of what Hasbro has in the pipeline to commemorate the fortieth anniversary of the Star Wars franchise. This is just the tip of the iceberg in terms of Star Wars toys we can expect this year, but there’s plenty here to get excited about. Hasbro plans to mark the anniversary with an extensive line of new toys and merchandise to tie into the 40th anniversary. It all starts this spring, with a new range of 3.75-inch Black Series figurines and a new anniversary edition of Star Wars Monopoly. 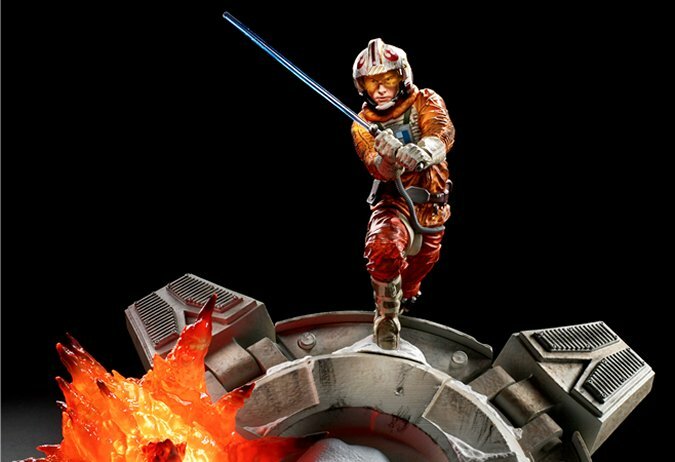 The 3 3/4″ figures in the new Titanium series will retail for $15 each, and are all based on the original Star Wars movie, A New Hope. 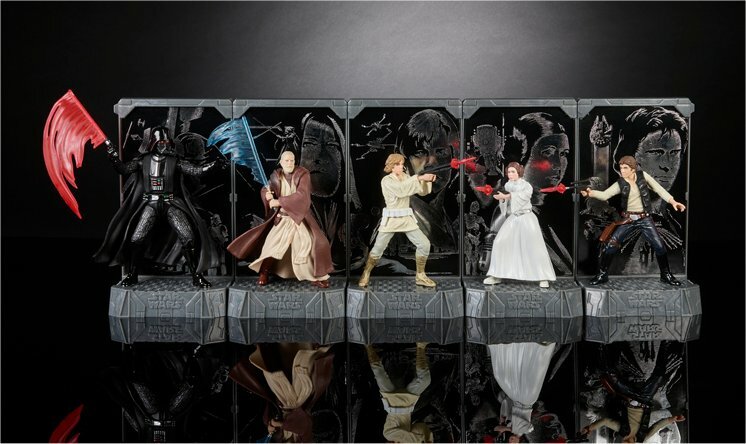 These are static diecast figurines rather than poseable action figures, and each of the six (Darth Vader, Obi-Wan Kenobi, Luke Skywalker, Princess Leia, and Han Solo) also feature accessories like FX pieces for their weapons, as well as their own special backdrops. 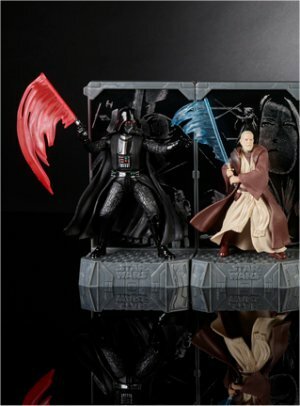 The backdrops include two different inserts, a backdrop from the movies (seen above), and also character art that can be connected to other Titanium series figure stands to complete the full scene(below). 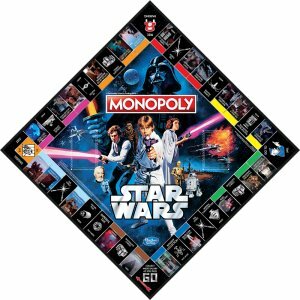 The new 40th anniversary edition of Star Wars Monopoly will retail for $30, and features six special tokens based on A New Hope: Luke’s X-Wing helmet; his sandspeeder; a Stormtrooper helmet; R2-D2; the Death Star; and the Millennium Falcon. 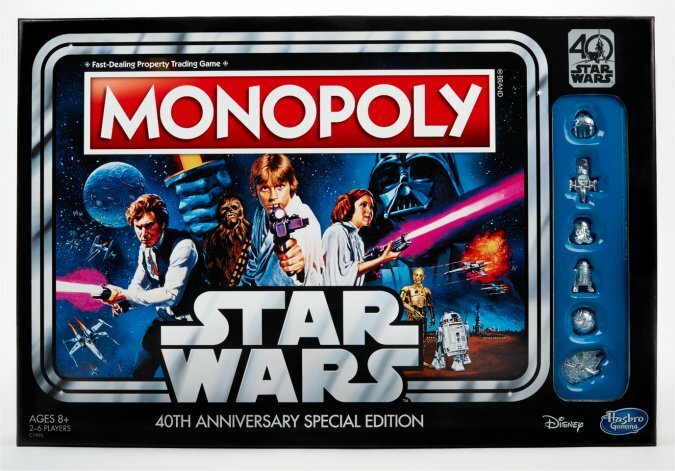 The game also sports a newly designed board featuring classic Star Wars poster art and scenes from the original movie. The spaces on the board have been replaced with locations form the movie, such as the Cantina, Alderran and The Death Star. Later this year we can expect even more 40th-anniversary toys. 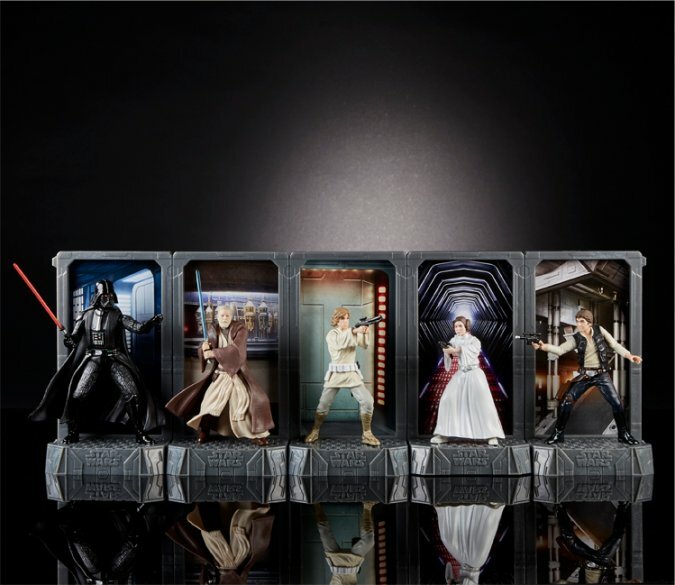 The 6-inch Black Series figures will be expaned with a line of static figurines called the “Centerpiece” range(below). This is in addition to loads of merchandise based on The Last Jedi and some very expensive role-playing items. It looks like Hasbro is aiming their 40th anniversary collections squarely toward adults, with neat little items that will look cool on a shelf, but that don’t have much in the way of play value. I would imagine that the cooler stuff, with poseable figures and extra play features will manifest itself in the toys for The Last Jedi. Check PopCult for more Toy Fair preview news all week long. 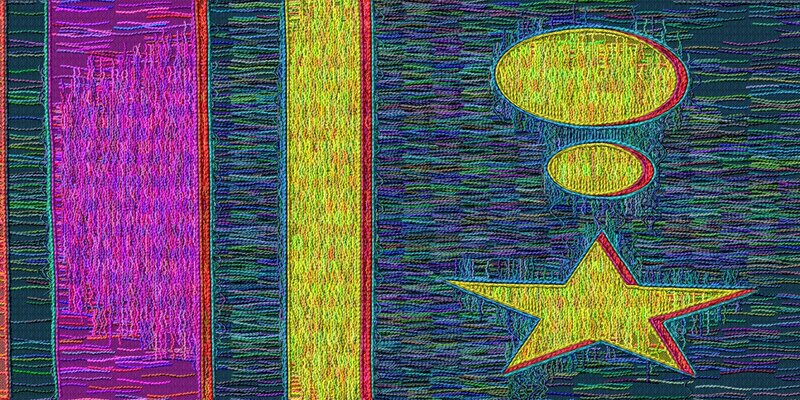 Abstract month continues in Monday Morning Art with a digital piece called “Freak Flag.” You may make up your own idea of what it means or represents. Click to enlarge it, and enjoy, if you are inclined to do such a thing. As with most abstract art, describing it sort of defeats the purpose. Just look at it, dude. 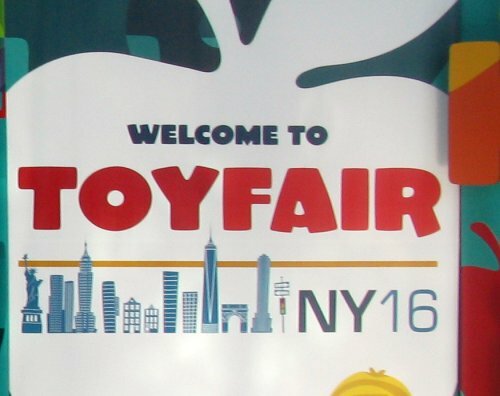 The International Toy Fair in New York City starts next weekend, and your PopCulteer will have to sit this one out. I am being sent to Morgantown for medical testing to see how well the treatment of my Myasthenia Gravis is progressing, and those tests are scheduled for the same time as Toy Fair. However, I will be covering as much of Toy Fair as possible without actually being there. 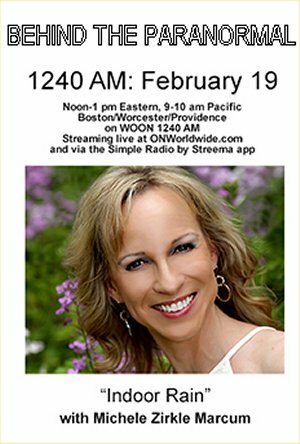 Look for several reports each day starting Monday. Below you see our clips from last year for the Turtles, as well as DC Super Hero Girls and Greenlight Collectibles Die Cast Cars. Next week we’ll bring you more of our Toy Fair videos, just to get you in the mood for all the toy news coming your way.